Few things are as important as your liberty. That liberty may be at risk if you have been arrested and charged with a crime. If you find yourself in such a situation then it is best to hire an experienced criminal defense lawyer who will work to make sure that your rights are fully protected. 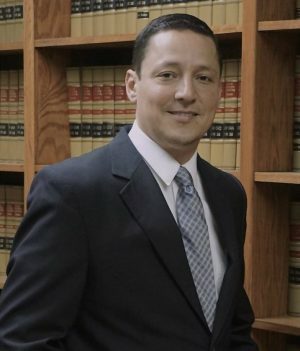 Joey Tellez has been practicing law since 2002. He prides himself on providing a high level of service. Joey will stay in contact with you as your case progresses through the system and we will make ourselves available to answer any questions you may have. We understand that you are facing a serious situation. We will take your case seriously and give it the attention it deserves. Contact us today to speak with an attorney. We also assist personal injury victims who have been injured by the negligence of another. It is understandable that one would be apprehensive or scared if they have never been or otherwise exposed to the criminal justice system. Retaining experienced counsel can help you to navigate the process. Our Laredo attorney assists people in the handling of criminal charges. Matters typically handled by our office include drug-related charges, violent crimes, and more. We strive to provide the highest quality representation regardless of your situation. Joey will fully investigate the matter, file all necessary Motions, and ensure that you are prepared to go to trial. We will work to get you through this situation as efficiently as possible. Joey will use your initial consultation to gain an understanding of how you were arrested and to help you understand what you should expect as your case moves forward. He will meet with you for as long as is necessary to address your concerns, to answer your questions, and to help you feel more comfortable with your situation. Joey will then formulate a defense and begin implementing his strategy as quickly as possible. He will be in regular communication with you while doing so. Joey regularly provides clients with his cell phone number. He also promptly responds to messages, regularly meets with clients in our office, and makes himself available to answer any questions you may have. He will make it a point to meet with you in person before or after any major event in your case. Joey believes in taking the steps necessary to help you understand your options and to assist you with making fully informed decisions. Our firm is ready to assist you. Contact us today. We handle matters throughout much of south Texas. Joey also assists those who have been the victims of negligence. He handles a variety of personal injury cases. Such matters may include car accidents, commercial trucking accidents, and extreme cases of wrongful death. In such a situation you or a loved one may be straddled with future economic losses, lost wages, and ongoing medical bills. While money cannot reverse the harm that has been done, it can ensure that you are not inconvenienced more than is necessary by another’s negligence. We will take the necessary steps to hold the negligent party accountable. This includes fully investigating the matter, retaining any necessary experts, etc. Our Laredo lawyer is proud of the results he has obtained on behalf of clients. Our attorney will focus on the law so that you may focus on getting your life back on track.